The hotel is located close to the pedestrian area that leads into charming Ragusa Ibla - the old town and true heart of Ragusa, perched high on its own hilltop with breath-taking views of the surrounding area. A stone’s throw from the commercial centre of Ragusa, the De Stefano Palace – Luxury Hotel is the perfect starting point for discovering the stunning Val di Noto and south-eastern Sicily. An elegant mix of modernity and tradition, the De Stefano Palace – Luxury Hotel is a period residence spread over several floors, skilfully refurbished so as to preserve its historic value. 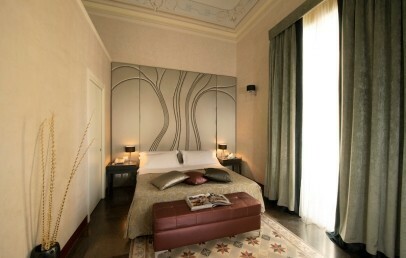 Authentic materials and nineteenth century frescos blend harmoniously with modern design elements. Understated and elegant, original architectural features, traditional local materials and elements, attention to detail: this is what the 27 rooms at the De Stefano Palace – Luxury Hotel have in common. 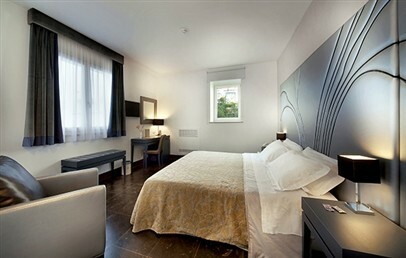 Standard – The 6 Standard rooms are either single or double rooms. Two of these rooms, furnished with a French double bed, look out over the small internal courtyard and feature traditional stone arches. The other 4 Standard rooms have a single bed and are proof that even in a small space it is possible to find all the comforts of a 4****L hotel. 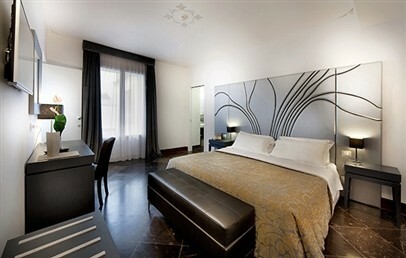 Superior – The 7 Superior rooms are all large rooms with a double bed. 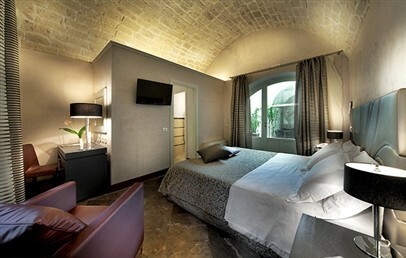 Two of the superior rooms are located on the ground floor and feature traditional stone arches. Some superior rooms have a balcony and offer the possibility of adding a third bed. 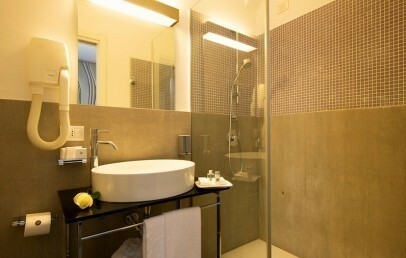 Deluxe – Deluxe rooms are located at the heart of the building and stand out for the elegance of their frescos and the decor in the bathroom. One of these rooms offers a hydromassage tub. Suite and Suite Whirlpool – The three impressive suites are both large and elegant, and offer either a hydromassage tub or a Pompeii-style bath. The exclusive spa at De Stefano Palace – Luxury Hotel is a small oasis of well-being where guests can replenish body and mind. The wellness centre offers massage areas, a relaxation zone, indoor salt water pool and jacuzzis with water jets and water fountains, Turkish bath with aromatic oils, and a tea area. Guests can also reserve the spa for their exclusive use. A breakfast of traditional local products is served on the hotel’s elegant patio. The hotel doesn’t have its own restaurant but the staff will be delighted to provide guests with recommendations for the area’s best restaurants. Guests are free to use the garden and pool at a hotel located close to De Stefano Palace – Luxury Hotel (service depends on availability). The internet connection Wi-Fi is available free of charge in all rooms and common areas. Paid parking is available in a car park close to the hotel. Tourist tax, as required by the municipality of Ragusa, must be paid on-site and is € 1.50 per person/overnight. Children aged under 12 are exempted. 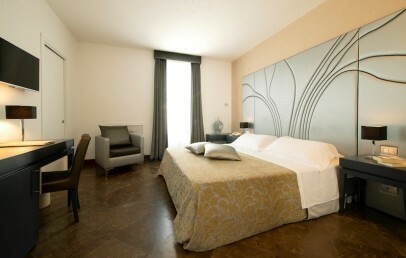 The comfortable Standard rooms are either single rooms or double rooms for single use. 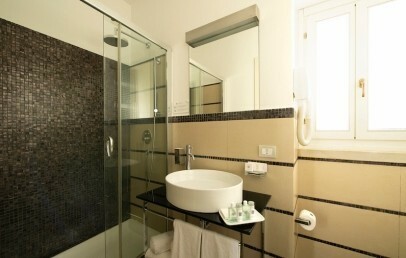 They are furnished in a modern style and have a bathroom with shower. They all offer a Wi-Fi connection free of charge. Located on different floors of the hotel. 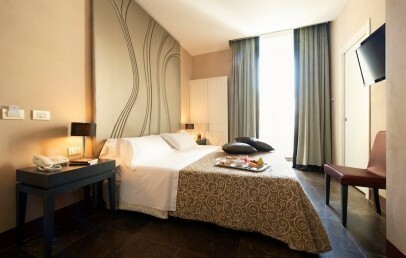 This rooms are spacious and equipped with modern comforts. The bathroom has a shower. They all offer a Wi-Fi connection free of charge. 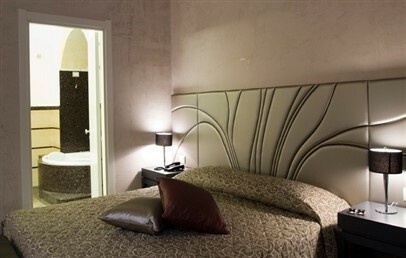 Sophisticated and tasteful furnished double room with elegant frescos and high-quality furnishings in the bathroom. The bathroom offers a shower and some of them have a whirlpool tub.